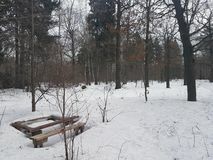 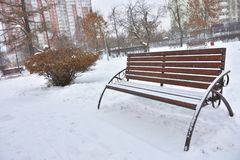 Snowy bench in the park. 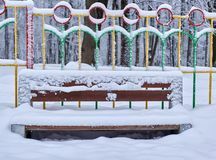 A park bench on a snowy sunny day. 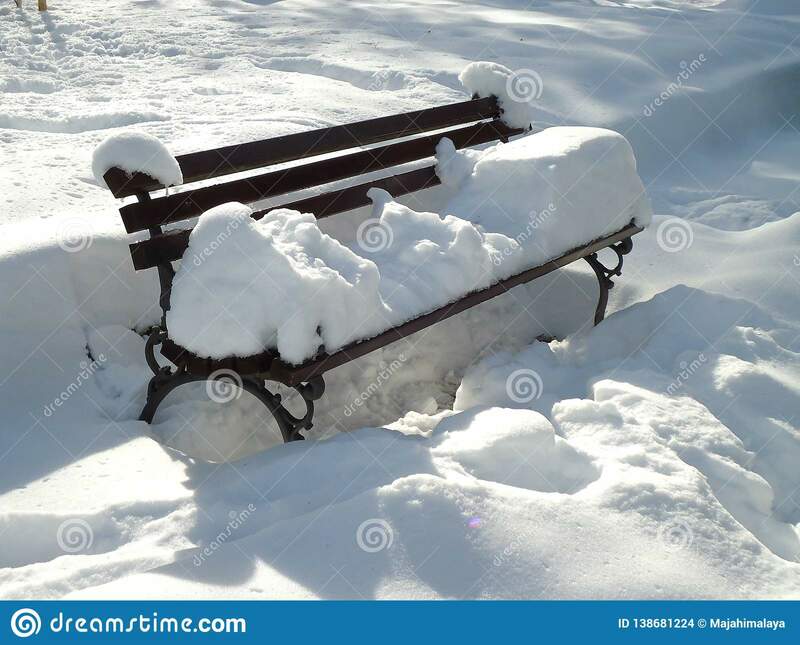 Photo taken in Novi Sad, Serbia. 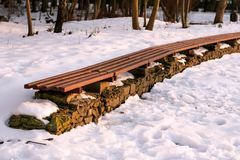 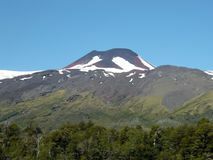 Mocho Volcano in the south of Chile Snow bench in the winter park, rest in the park Frost and sun - day is wonderful Miracle of the winter forest in the middle of the city A snowy wooden bench and metal hedge behind on the winter background of fence Wooden table and bench withered in the snow in the forest Line of empty winter park bench in sunny day. 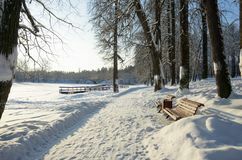 Concept of relax, comfort, park decorating, frosty weather, beautiful landscape. 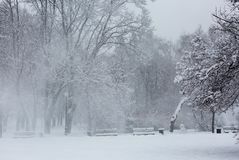 Avenue with trees during strong wind and snowstorm at winter in Moscow, Russia. 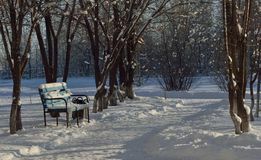 Scenic view of a snowy city street Amazing winter scenery.Snow-covered road in park.